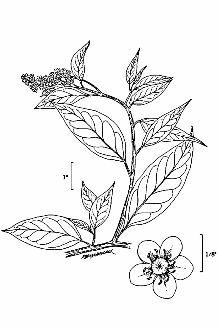 Flowering time: May to October; berries form one month after blossoms. Both berries and flowers may appear together at the same time. Misc. 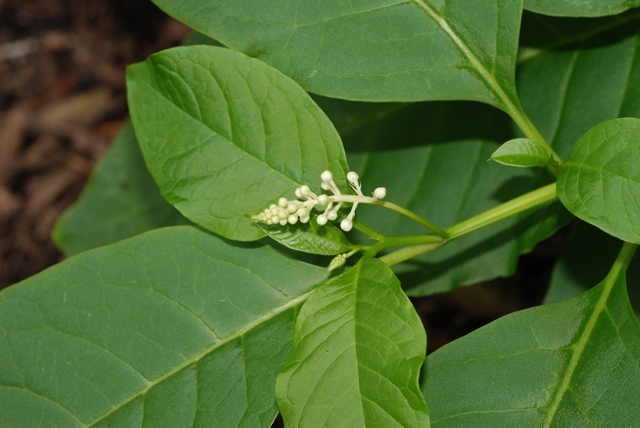 Young pokeweed leaves are edible if boiled several times to reduce the toxins. However, toxins may still remain and experts suggest it is better left alone. 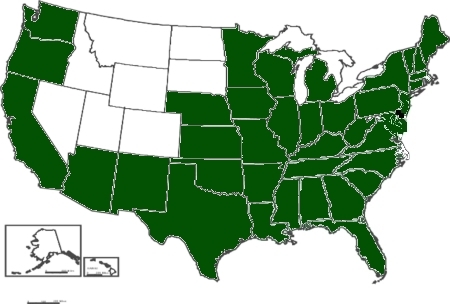 Pokeweed is generally considered very toxic, and improper ingestion can result in seizures, coma and death. It has also been used as a folk remedy for tonsilitis, swollen glands, etc. 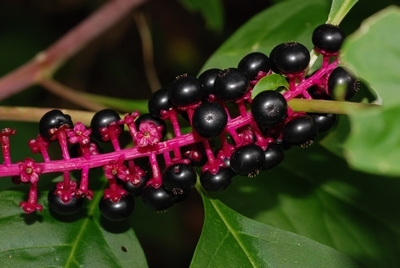 Pokeweed berries were traditionally used by Native Americans for dye. Several Lepidoptera species larvae utilize pokeweed for food.